Hi friends! 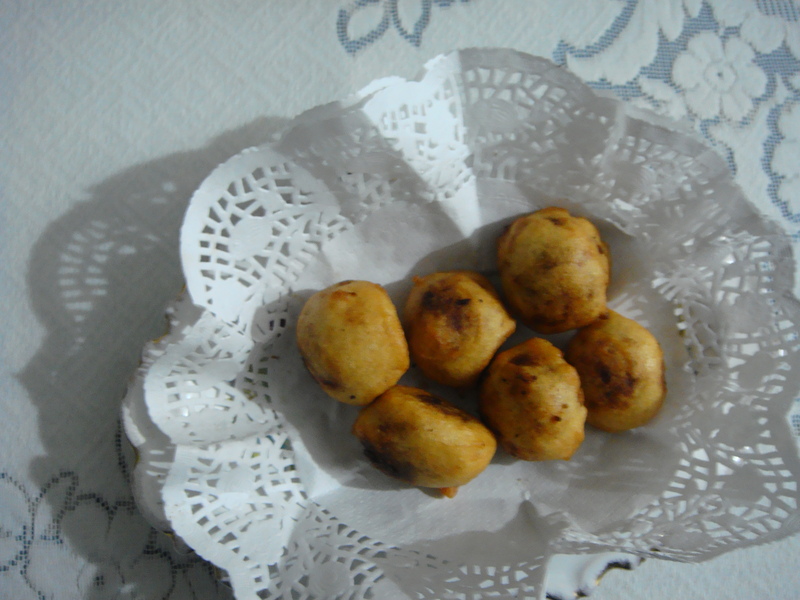 Purnam burelu / Indian Sweet Bengal Gram Dumplings is a popular sweet treat in Andhra Pradesh of India, which is served mostly as a sacred offering to God. This particular extremely delicious dessert brings a flavor of authentic South Indian cuisine to your home. Clean wash and soak urad dal and rice overnight. Grind to a smooth but little thicker than Dosa batter. Add a pinch of salt and a tea spoon of sugar and mix well. Clean wash and soak chana dal for an hour and with two cups of water cook in a pressure cooker on high flame. The moment pressure is formed reduce the heat to low flame for 15 minutes. When pressure is cool to room temperature, open the lid and drain the water and keep the boiled dal aside. Let the cooked chana dal and jaggery mix cool. Add the cardamom powder mix well. This mixture is called Poornam in Telugu. Make small lemon size balls. Heat oil in a wok / Kadahi on medium flame, dip each chana dal ball in the prepared batter, and gently slid into the oil. Fry until golden brown. Drain the fried Poornam Boorelu on a paper kitchen towel to drain excessive oil. Usually hot Poornam Boorelu are served with a spoon of pure ghee.